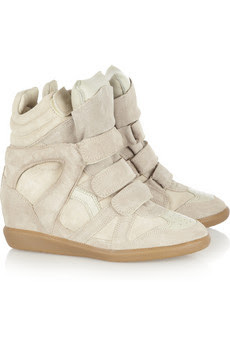 If you've been lusting over the Isabel Marant Bekkett Wedge Sneakers, but don't want to fork out the $600+ for the kicks, don't fret. 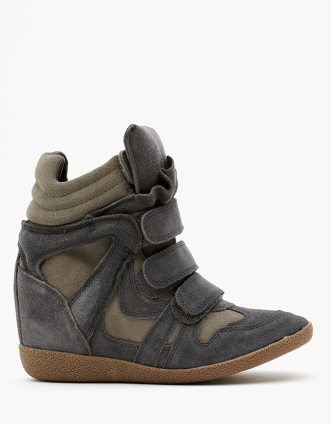 I found an identical pair made by Steve Madden and featured on Nasty Gal for a fraction of the price! I literally did a double take. In an effort to compare what the Steve Madden sneaks look like online compared to my actual Isabel Marant's, I have to admit that I couldn't hardly tell the difference. Its so shocking how much they look alike! They also come in this great gray color! Pretty impressive, right?! They're a dead ringer for the coveted sneaks; a true look for less!! Hope you're having a fabulous weekend!